Soft-bodied and small in size, a termite doesn’t look like a destructive pest that requires effective control. But look again. A termite doesn’t fly solo. It works in tandem with the rest of its colony—which can number over one million of the wood-eating insects. So what do you do if you discovered termites or suspect termite activity in your home? First, remember to breathe :-) Now it's tempting to break it open and treat it yourself, however this can make things worse. Watch the video below from the owner of Suburban Pest Management, Tom Aldridge, who walks you through exactly what you need to do if you find termites in your home. Effective termite control, especially in the vulnerable Brisbane and Gold Coast areas, requires an experienced team of termite control professionals that know the habits of this communal insect. A team like the licensed pest control inspectors and technicians from Suburban Pest Management. You see, knowing about the termite’s tendency to put the colony’s welfare ahead of its own—can give pest control professionals keen insight into how to eliminate them from your property. That kind of expertise is what you need to keep termites out of your home for good. Without it, a good-sized colony of termites can move in, start chomping on your home’s timber, and can have you looking at significant damage within a year’s time. Forewarned is forearmed. Discover how an effective termite control service can save your home from thousands of dollars in damaged timber. We offer Brisbane termite services backed by local experience and know-how provide effective ways to control these wood-chomping insects. 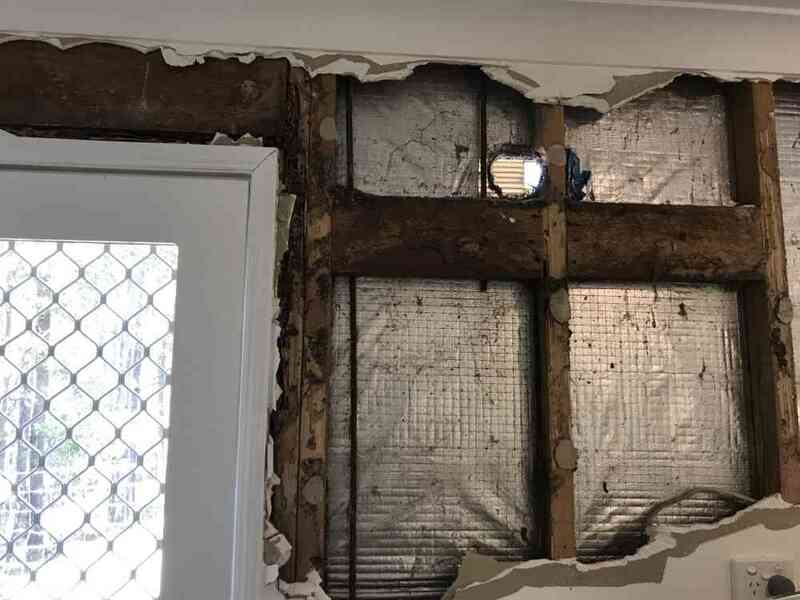 Termite treatment for Brisbane- and Gold Coast-area homes and businesses isn’t optional: Australian Government statutes require it. Australian building codes require termite prevention and treatment in key areas in all buildings. Gold Coast and Brisbane termite treatment cost is way less than the cost of letting termite treatment go. Termite management systems for the local area go well beyond eradicating them from your property; they require constant surveillance. It takes a local termite service to know the types of termites that inhabit the Brisbane and Gold Coast areas. 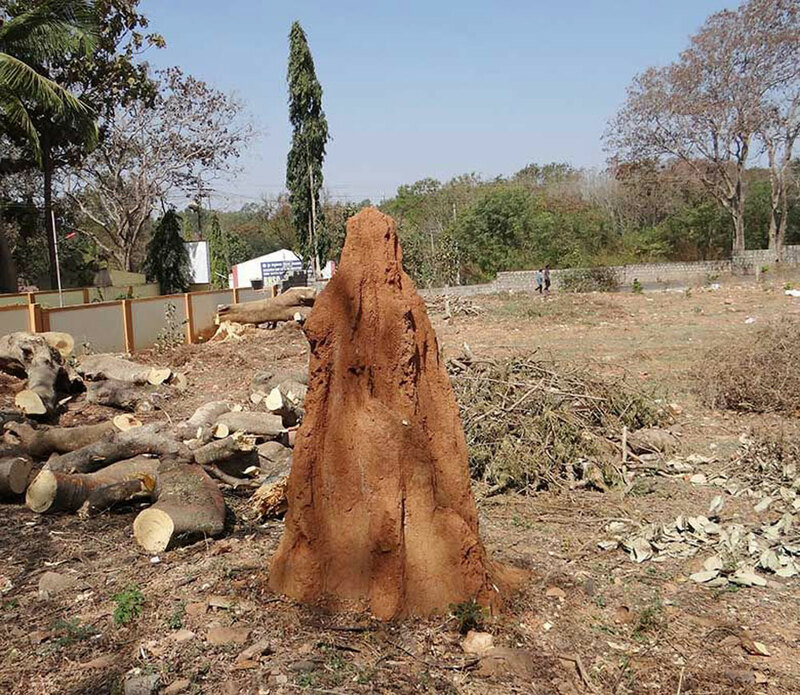 Termites vary widely by region, both in their habits and their appearance. 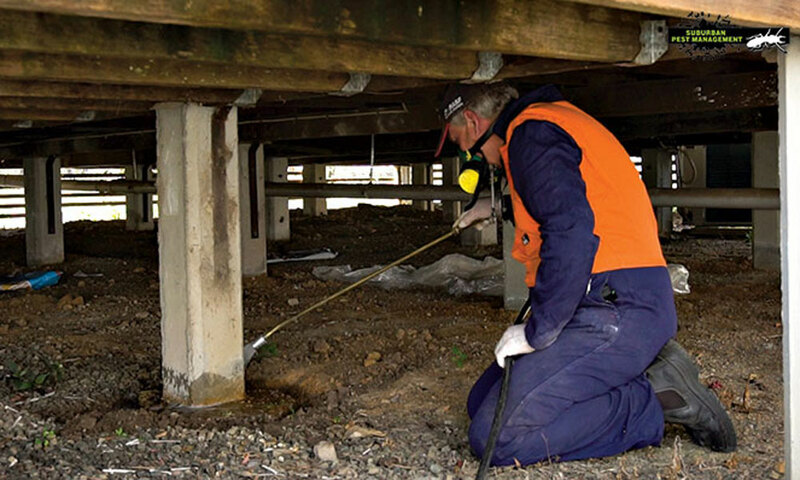 Brisbane termite services whose inspectors and technicians have years of experience with local pests are the best choice for Gold Coast and Brisbane property owners and businesses. Suburban Pest Management equips their personnel with the latest in equipment and training, so they can identify whether you have a termite infestation. Our termite inspections are nothing but thorough. Inside your home, we peep into corners, examine your floors, walls, and ceilings. Then we look inside your in-built cabinetry, look for any cracks into which termites can crawl, or any peeling paint that could indicate the presence of termites. We also look at your window and doors to see if all the seals are intact and double-check rooms that tend to be damp, such as kitchens and bathrooms. If you have a basement, we check that. Outside, we look under your deck, examine stumps, trees, and shrubbery, and look inside other buildings on your property. If you have timber stored around your property, we’ll look in there, too. To a termite, a pile of stored timber is like a holiday feast. A common misconception is where there's black ants, you won't find termites. Watch the video below from the owner of Suburban Pest Management, Tom Aldridge, who demonstrates how sometimes termites and ants build their colonies next to each other in the same fence post. We don’t neglect your roof, either. Gutters, downspouts, gables, rafters—our inspectors check it all. Afterward, we give you the rundown on what we found and make our recommendation for treatment, if we do find termites on your property. 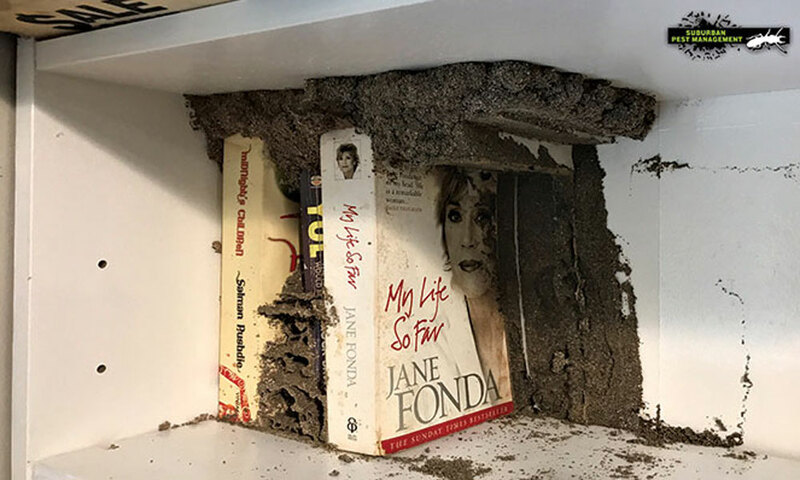 Many of the same things that drew you to the Gold Coast or Brisbane area are exactly what makes these areas prime for a termite infestation. A warm climate, moist sea breezes—it’s paradise for a termite. That makes professional termite treatment a must—even if termites haven’t come knocking at your door yet. In fact, the Australian Government requires homeowners and builders to treat certain areas of their properties as a preventative measure. We recommend that our customers go beyond the Government’s requirement to ensure that you won’t have to deal with a termite invasion in the future. The fact is, even stone, concrete, and brick buildings have some wooden components in them. To a termite, wood’s dinner no matter where it comes from. When you live in Brisbane or the Gold Coast, it pays to be proactive. Be smart. Get your termite control programme started before the insects even arrive at your front door. You might think that treating your property for termites is expensive. It’s nothing, though, compared to the property value you may lose if you don’t get it treated. And, what’s worse, the longer you let it go, the more damage your buildings will suffer. What may now be a minor repair could cost you thousands in the future if the insects invade your home’s major structural components. Furthermore, if you do plan to sell your home or refinance it, you’ll need to show that your home has had regular termite treatments. We work with all the area’s major lenders and conveyancers to make sure that our termite treatment stands heads above the rest when it comes to property value. Termite management doesn’t stop with eliminating your current infestation. We’re not one of those fly-by-night termite control companies that set out baits, builds a barrier, and then leaves you alone. We recommend that you have your property inspected at least once a year, maybe more, depending on your situation and your location. That way, we can catch any budding colonies before they gain a foothold on your property. Constant surveillance—we never stop thinking of ways to rid our customers of termite and other pest infestations. How Can Suburban Pest Management Get Rid of Your Termite Worries? Our termite control inspectors have years of experience dealing with the types of termite infestations most common to the Brisbane and Gold Coast area. Licensed and insured, they have earned the confidence not only of our customers but also that of the area’s local conveyancers and lenders. Constant vigilance is the only way to get rid of your termite worries. For a no-worries life here in the fabulous Brisbane-Gold coast area, schedule your termite inspection or maintenance program with Suburban Pest Management today.